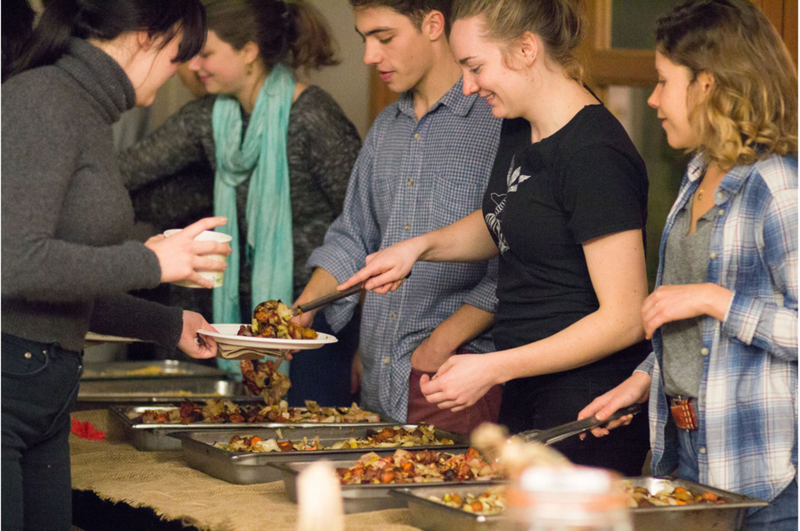 During a particularly contentious political season, the Cozy Autumn Humble Feast organized by the ASUW Student Food Cooperative (SFC) provided welcome relief last Thursday. Organized at the Center for Urban Horticulture, next door to the UW Farm, from which its ingredients were sourced, the biannual Humble Feast provided community building activities, hearty food, and much needed warmth during a distressing time for the UW community. President Donald Trump’s repeated jabs at the press for spreading “fake news” has turned misleading media into either a widespread problem or a running joke, depending on whom you ask. While most everyone knows it exists, many still fall prey to outright lies in the media and are unknowingly involved in spreading it. Jevin West, assistant UW professor in the information school, spoke at TEDxSeattle 2017 on Saturday, Nov. 18, reflecting on the saturated world of misinformation we live in. The struggle of veterans to reintegrate into society after service has been well documented in the past. From the Obama administration’s Team Rubicon initiative to articles in major publications, the trials of veterans to reintegrate are well known. However, student veterans face some special challenges, as they find themselves “disconnected” from their younger counterparts. These problems are only amplified in a place like the UW because historically, liberal West Coast universities were hostile to returning veterans. The term “baby killer” was often tossed around at returning student veterans after the Vietnam War. But even ignoring the epithets, there is a gulf between student veterans and civilians.